On Aliexpress.com you can find a lot of interesting TV Boxes and mini PCs devices. 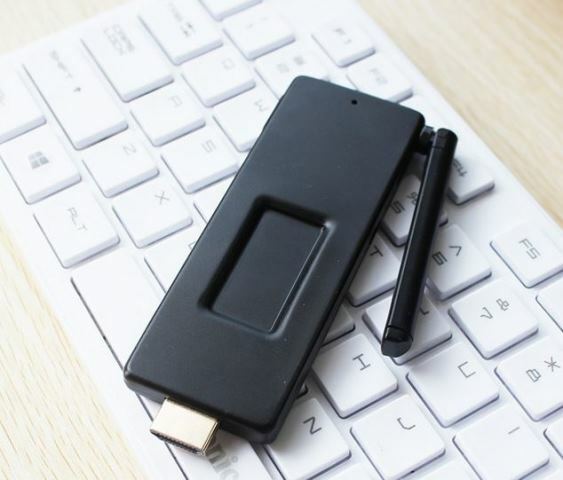 Today we want to present you a mini PC in a format HDMI Stick called FastDisk. FastDisk mini PC has a specification similar to present the mini PC in this format such as Intel Compute Stick. FastDisk PC on a stick was fitted with up to 64GB of ROM memory, but also is available in a 32GB version. FastDisk is available in two colors: silver and black. PC HDMI Stick also has an external, adjustable antenna. The FastDisk PC Stick with 64GB of storage is available from AliExpress for $100 after you click the box for a $4 coupon. FastDisk is a typical fanless PC HDMI Stick, equipped with Intel Atom Z3735F Bay Trail processor, 2GB of RAM and expandable memory that has versions with 32 / 64GB eMMC memory storage, 802.11b/g/n WiFi, Bluetooth 4.0, and a microSD card slot. The mini PC Stick comes with Windows 8.1 with Bing software and features a valid Windows license.